Jellyfish was featured on Channel 4 news tonight. To see the film click here. James was interviewed by Aesthetica magazine about the process of making Jellyfish. You can read the full interview by clicking here. The Film Blog interviewed James about all things Jellyfish. You can read the full interview by clicking here. 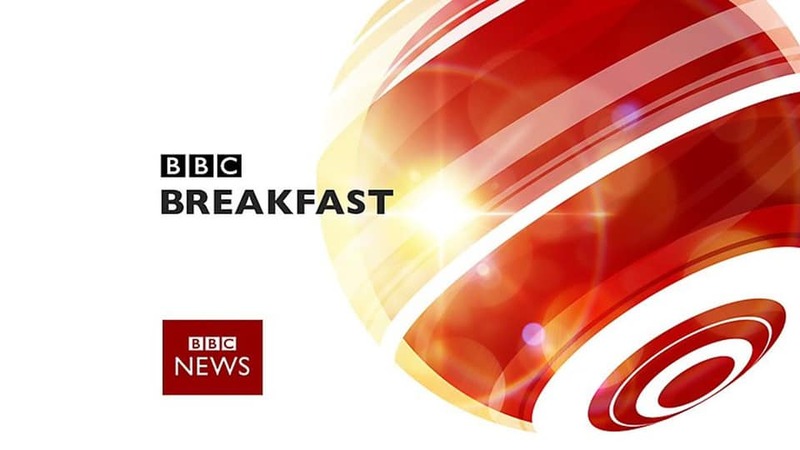 Liv and James will be LIVE on BBC breakfast news tomorrow morning (Thursday 31st) to talk about Jellyfish! They’re scheduled for 8:55am but it could be a bit before, could be a bit after. Either way, make sure you’re tuned in! Liv, Cyril and James were guests of Mark Kermode at the BFI on Monday night for the recording of Mark’s ‘Live in 3D’ podcast, which will be released via iTunes very soon. Also on the show were Joe Cornish, Nadine Labaki and Steve Coogan. We’re thrilled to announce that Jellyfish will be returning to where it was made as the red carpet People’s Premiere will take place at The Carlton Cinema in Westgate on February 5th. Tickets are now on sale and can be found by clicking here. An additional London preview of Jellyfish will take place at the iconic Rio cinema in Dalston on February 13th. Book your tickets by clicking here. We are pleased to announce the tickets for the first public screenings of Jellyfish are now on sale. There will be more to come, but for now, if you are in London or Glasgow get booking by following the links below. We’re thrilled to announce that Jellyfish is now available to rent or buy on Amazon Prime in North America and it’s as easy as clicking right here. Liv has been nominated for a London Critics’ Circle ‘Young Performer of the Year’ award. Read more on Variety by clicking here. 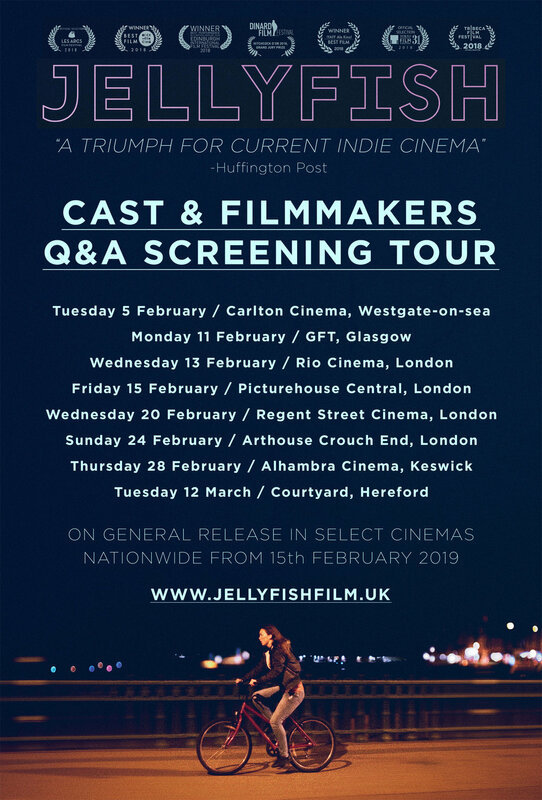 “The first film of the British James Gardner, Jellyfish is one of the must-sees at the upcoming Les Arcs festival ... and is one of Rolling Stone's editorial favourites". Read more on the rolling Stone website by clicking here. Jellyfish has won the ‘Golden Goats’ and the ‘Marcin Award’ at Ale Kino! Film Festival in Poland. The ‘Golden Goats’ was awarded for ‘Best Film’ by the Grand Jury and the ‘Marcin Award’ was awarded for ‘Best Film’ by the Youth Jury. James and Liv were in attendance at the festival to do a Q&A session as well as collect the awards.